While Russian scientists are referring to the Moon as a hub for flights to other planet, the main goal in exploring Earth’s satellite is to expand the production of rare earth metals. As part of the Federal Space Program, Moon exploration operations will be launched in 2016. In 2018 the first spacecraft will be sent to the Moon to deliver comet material back to Earth. A manned flight is scheduled for 2030-2031. Future plans include the mining of rare earth metals required for the development of high-tech industries. Scientists from the Russian Academy of Sciences, the Moscow State University Sternberg Astronomical Institute and the Russian Federal Space Agency are participating in this Moon exploration project. The first spacecraft to be sent to the Moon will be relatively simple. According to Vladislav Shevchenko, the Sternberg Institute’s Head of the Department of Lunar and Planetary Research, this is because the Russian space program has not carried out a Moon landing for over 40 years. “The last Luna-24 launch was carried out in 1976. The current spacecraft, Luna-25, is a lot lighter than its predecessor, as its main mission is to bring back ice from the lunar south pole,” Shevchenko said. According to him, the south pole was chosen because according to satellite data, it houses the largest reserves of frozen volatile gases found in comets. The chemical make-up of comets remains a mystery to scientists. Comet dust is considered to be one of the “witnesses” from the time of the birth of the Sun. The composition of comets has not changed for the past 4.5 billion years. According to existing models, the nuclei, made up of frozen gases, contains a "prehistoric substance" of gas and dust nebula. Scientists have been trying to solve the mystery of comets for a long time. For the most part, space probes have been used for comet exploration expeditions, including the famous American space probe Stardust, which travelled for seven years and returned to Earth in 2006. How will lunar infrastructure develop? Scientists, including experts from the Russian Institute of Biochemistry, are currently selecting the exact location for the landing. According to the Head of the Russian Federal Space Agency, Oleg Ostapenko, super-heavy space rockets are scheduled for testing over the next decade. According to program participants, the first operations to create infrastructure, which involves the construction of an inhabitable base on the Moon, will begin 15-18 years from now. By 2040, the first space stations for shuttles will be created. In the mid-2050s, a full-fledged scientific and mining base with an observatory will be constructed. Solar power plants and possibly nuclear-powered generators will be installed on the Moon, Vladimir Koshlakov, Deputy Director General of the Keldysh Research Center, told RIR. Russian scientists are already referring to the Moon as a hub for flights to other planets. The cost of the Russian Moon exploration program is estimated to cost tens of billions of rubles (up to $2.5 billion). “Of course, the project is not cheap. It requires a lot of resources and complicated technical solutions,” said Yuri Makarov, Head of the Strategic Planning Department at the Russian Federal Space Agency. From an economic standpoint, the simplified launch and flight system that will be used for the first few years will not cost more than regular orbital space flights. Moreover, scientists expect to make a profit. According to forecasts by Goldman Sachs, by 2015 the price of a basket of light rare earth metals (lanthanum, cerium, praseodymium, neodymium, samarium and europium) will be $243 per kilogram. 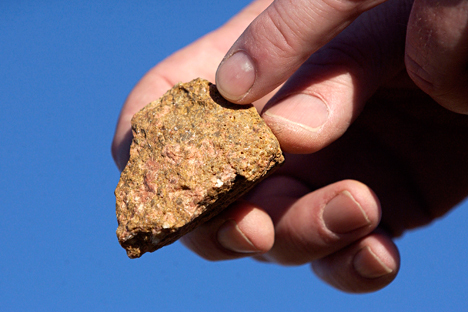 For heavy rare earth metals, the price will be $499 per kilogram. Shevchenko and other experts see Moon exploration as a solution to the shortage of rare earth metals with deliveries from space being potentially more cost-effective than mining for metals at home.